You finally bought that magnificent electric lawn mower to maintain your property manicured and neat. But now you need an outdoor extension cord to power it up even in the most remote corners of your yard. 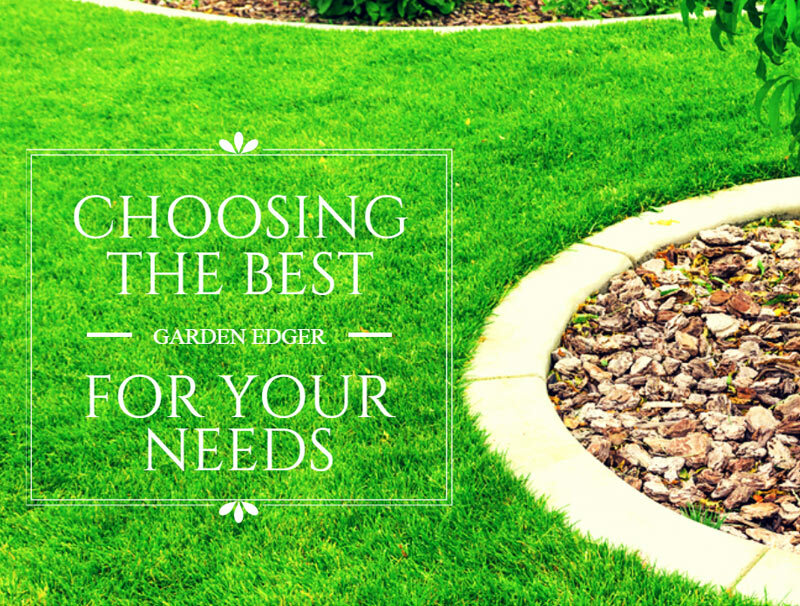 If you don’t know how to choose the best, then this guide is for you. I remember the first time I used an electric tool outdoors. I thought it was perfectly acceptable to plug it into the indoor extension cord I’ve been using in my kitchen. Trust me, it was one of the worst ideas of my life. In the meantime, I did my homework and learned how to select an extension cord designed specifically for the outdoors and that is suitable for all my tools. Read on to find out how to choose the outdoor extension cord or use the links below if you just want to check the best on the market. I’m quite confident that many of you are wondering what is the difference between an indoor and an outdoor extension cord. The main difference between them is the rate of electrical flow, measured in Amperes. Indoor cords are usually designed to handle lower amperages which are specific to most household appliances, electronic devices, and lamps. Outdoor extension cords, on the other hand, usually have higher amperages which are specific to outdoor power tools. Another difference between the two types of extension cords is the American Wire Gauge or AWG. This represents the thickness of the extension cord. It is important to know the thickness of the cord to determine its suitability to be used with a specific tool or appliance. I’m going to avoid a physics lesson but a thicker cable is desired both for its resistance and for your safety. The AWG, also shortened as simply gauge, is specified by the manufacturers on the extension cords. However, it is important to know that a higher number designates a thinner cord. For example, a 16-gauge cord is a light duty cable usually suitable to use with table lamps or Christmas lights. On the other hand, a 10-gauge cord is considered as extra heavy duty and can provide sufficient energy to the most demanding tools. Moreover, outdoor extension cords usually have tougher covers designed to prevent overheating. They also protect the wires from environmental elements, and some heavy-duty models are even rated for protection against extreme temperatures, chemicals, or oils. By now, it should be clear why using an indoor extension cord in your garden is a poor idea. But how to choose the right outdoor extension cord for you? Here are a few important things to consider. Each power tool you own requires a minimum amperage to work properly. For this reason, it is important to check both the amperage required by your power tool and the amperage of the extension cord you’re considering, to make sure they are compatible. Using an extension cord with a lower amperage can decrease the performance of the tool and even damage it. Moreover, the cord can overheat and become a fire hazard. Typically, lightweight power tools such as weed eaters and leaf blowers work wonderfully with light duty power cords of 5 to 7 amps. For a lawn mower, it is recommended to choose an extension cord with higher amps. 7 to 10 amps cords are sufficient most of the times. For heavy duty and extra heavy duty jobs, there are outdoor power cords with amperages between 10 and 20. I already explained above why the gauge is important. The thickness of the cable should go hand in hand with the amperage, but remember that a thinner cable has a higher gauge. For leaf blowers, for example, a 16 gauge cable could be ideal. Nevertheless, I recommend choosing an outdoor extension cord with at least 14 gauge, which is designed for medium duty. AWG is written on the extension cords usually as a two-number figure that would look like 14/3. The first number is the gauge, representing the thickness of the cord, and the second number designates the number of wires passing through it. Outdoor power cords come in a wide range of lengths, varying from 5 or 6 feet to 150 feet or, in some cases, even more. Choosing the right length should be easy, as it depends on your specific needs. I’d recommend choosing a cord with a length of at least 25 feet, as it is more versatile than a shorter one. Most outdoor extension cords come with two or three outlets, but you should consider safety before starting using them. According to the Electrical Safety Foundation International, you should avoid using the extension cord with more than one power tool at the same time. You should also avoid overloading the cord, as the amperage required by more devices at the same time might easily exceed the amperage of the cord. In terms of safety, you should also make sure the outdoor extension cord you choose is waterproof and resistant to weather elements. Moreover, the cord should also be equipped with a ground fault circuit interrupter that automatically shuts down the power to the extension cord in the event of a ground fault. The AmazonBasics 16/3 Vinyl Outdoor Extension Cord is an excellent extension cord to consider if you have a small backyard and non-demanding tools. This power cord is ideal for light gardening chores, such as occasional mowing and trimming of the grass. The cord is also ideal to use with various gardening power tools, such as leaf blowers or garden vacuums. Moreover, the cord is excellent to use as a permanent power source for garden lights or for a garden fountain. The extension cord has a 16/3 gauge with wires made of copper, and a thick vinyl covering designed to protect the wires from moisture, direct sunlight, and abrasion. Although designed for light duty chores, the cord gas a rating of 13 amps and 1625 watts. Regarding the length, the cord is ideal for small or medium-size properties. It has a length of 50 feet and only one outlet. Rating: although designed for light duty use, this outdoor extension cord is suitable to use with larger power tools, such as an electric lawn mower, thanks to its amperage and wattage. Length: with its 50 feet, the cord is ideal to use in small or medium size gardens. Features: the cord has a strong vinyl covering that protects the wires against weather and environmental elements. Safety: the cable has a 3-prong grounded plug designed to increase the safety and it is colored in orange to be easily visible. Because of the shape of the outlet, some gardening power tools are difficult to plug in. Coleman Cable designed this light-duty outdoor extension cord to use mainly with small electric objects such as garden lights or fountains. Nevertheless, the cord is also suitable to use with small power tools, especially blowers and trimmers. The manufacturer designed this cord specifically for landscaping purposes. For this reason, the cord is green and made to blend perfectly with the landscape of your garden or yard. Thanks to this feature, you’ll be able to use it when throwing a garden party, or permanently to maintain the beauty of your space. The cord is also flexible and designed for an easy use. Moreover, it is waterproof and built to withstand weather and environmental elements. This 16-gauge 3-wire extension cord has a durable vinyl jacket that protects the wires from moist and sunlight. Regarding the size, you’ll be able to choose between three different lengths. Color: this outdoor extension cord is designed to blend in with your landscape and power your garden lights fountain in a discreet manner. Rating: this 13-amp extension cord is suitable to use with patio fans, lawn mowers, and other small power tools. Length: the manufacturer proposes three different lengths adaptable to almost all types of outdoor spaces. You’ll be able to choose between 20, 40, and 80 feet. Flexible: to increase its versatility and functionality, the manufacturer covered the conductors in a flexible vinyl coat. The extension cord gets stiff in cold weather and it is not the most indicated to use during winter. Yard Master Outdoor Extension Cord with Evenly-Spaced Plugs And 3 Outlets is a versatile medium-duty outdoor extension cord to consider if you want to optimize your outdoor lights or use your electric lawn mower without hassle. The cord is designed to blend itself with the environment and it becomes almost invisible when installed permanently to provide power to your lights or decorative objects. Moreover, thanks to its 25 feet length, the cord is also ideal to use in a medium size yard to mow the lawn. This versatile extension cord has 3 power outlets positioned at even distances and designed to help you optimize your landscape elements. On the other hand, thanks to the 14/3 AWG, the cord is also ideal to use with a wide variety of power tools. The vinyl coat, on the other hand, is designed to protect the conductors from moist and sunlight. The coating is flexible and resistant to wear and tear. Medium-duty: the power cord has a 15A rating at 125V and a 14/3 gauge. It is perfect to use with most power tools and gardening equipment. Outlets: the cord is equipped with three outlets positioned at even distances and designed to help you optimize the outdoor lights. Impact-resistant: the molded plugs make this outdoor extension cord suitable for rugged use. Durable: the cord is designed to withstand weather elements and maintain its characteristics in cold weather. The cord is rather expensive considering its length. Otimo 50 Ft 16/3 Outdoor Heavy Duty Extension Cord is not that heavy duty as advertised by the manufacturer but still excellent for homeowners looking for a great cord to use for landscaping purposes. The cord is suitable to use for garden lights or fountains and it can work well with small power tools, such as string trimmers or lawn mowers. The cord has a length of 50 feet, which is ideal for medium size properties. Moreover, the color is chosen to match with the landscape, camouflaging the cord into the décor. Regarding the electric rating characteristics, this outdoor extension cord has 13 amperes at 125V and 1625 watts. Regarding the thickness of the cord, the AWG is 16/3 and ideal for light duty use. The cord is designed with maximum safety in mind. It boasts a grounded plug, it is flame retardant and the outer coating protects the conductors from weather and environmental elements. Versatility: thanks to its color, the cord is ideal to use for holiday lights, outdoor heaters, patio fans, or small power tools. Safety: the cord is ETL listed and it includes a grounded plug for maximum safety. The cord is also flame retardant, water resistant, and ultra-flexible. Length: thanks to its 50 feet, the cord is ideal to use in medium size gardens. For different requirements, a 25-foot and a 100-foot cord are also available. Resistant: the ultra-flexible cord is designed to maintain its properties in cold weather. It is ideal to use to power up the Christmas lights. The cord is not suitable to use with powerful outdoor tools. Last but not least, the ClearMax 25 Feet 3 Outlet Heavy Duty Extension Cord Power Splitter 16AWG Indoor / Outdoor Use is another outdoor extension cord to consider if you need a cord to use both in the garage or shed and in the garden. The cord has a length of 25 feet and is suitable for small gardens or lawns. Regarding the ratings, the cord has a 16/3 AWG and is ideal for light duty use. Thanks to the 3 outlets, the cord is ideal to use with outdoor lighting or landscape decorations. Regarding the features, the cord is designed to provide maximum safety. It is resistant to moisture, abrasion, and sunlight, it maintains its characteristic in extreme temperatures, and it is protected by a thick vinyl coating. The extension cord is also designed to work as a true extension of your wall outlet. This means that it accepts all types of USA outlets and can power any devices. Indoor and outdoor use: the cord is suitable for both indoor and outdoor use, a feature that increases its versatility. Outlet: the outlets of this cord are designed to power any devices with type A or type B USA outlet. Power distribution: the extension cord has 3 convenient outlets and it is ideal to use with garden lights or other small devices. Warranty: the cord comes with a limited 2-year warranty which backs up the quality of the product. For its length and specifications, this extension cord is simply expensive. Considering the usual applications of an outdoor extension cord, the Yard Master Outdoor Extension Cord with Evenly-Spaced Plugs And 3 Outlets is the one I recommend. This extension cord is designed for medium-duty use and it is ideal to power up your power tools, garden lights, patio fan or gazebo heaters. The green vinyl coating camouflages into the landscape and blends into the décor perfectly. The ratings of this cord are 14/3 AWG, while the 3 outlets positioned at even distances increase the versatility of this product. The length is the only downside of this cord and the only characteristic that doesn’t justify the price. Nevertheless, if you have a small backyard, this outdoor extension cord is certainly one of the bests you can find.